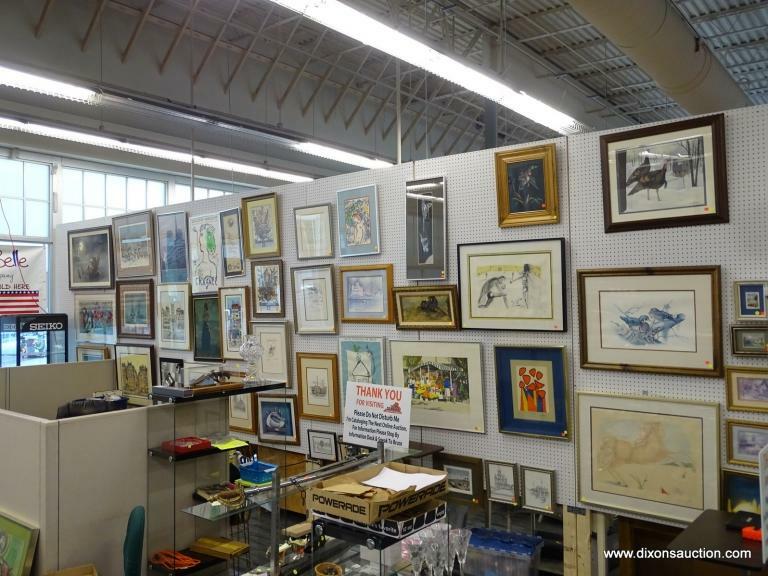 Dixon’s Auctions & Estate Sales is a family owned business with over 30 years experience in assisting customers throughout Virginia. Whether you have one item or an entire estate Dixon’s can provide the service you require. We also sell real estate by the auction method. The staff at Dixon’s takes pride in our skill and professionalism. At Dixon’s we use the most modern tools available to make our auctions a pleasant experience for everyone. 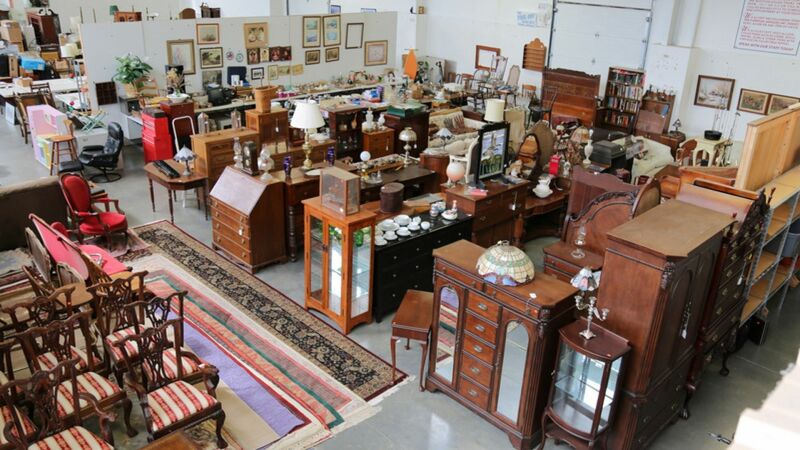 We have a large customer list that receives information and videos on each of our auctions. 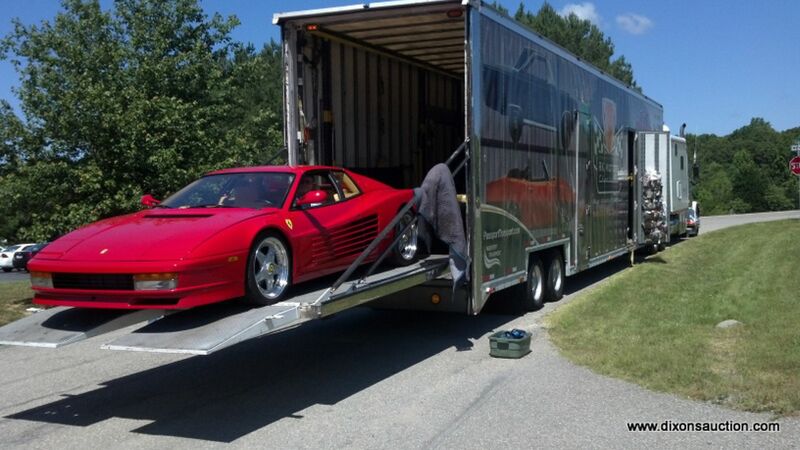 Our goal is to provide our customers with the best auction service in Virginia. 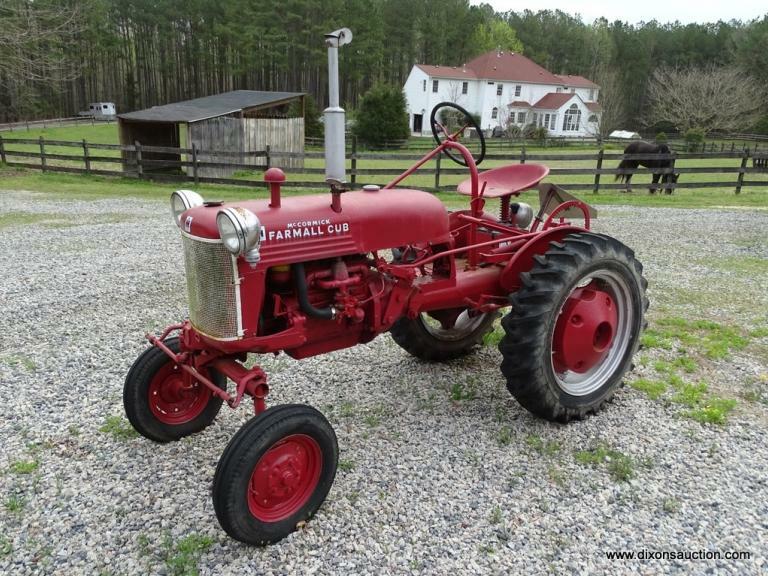 4/22/19 Online Personal Property & Estate Auction. 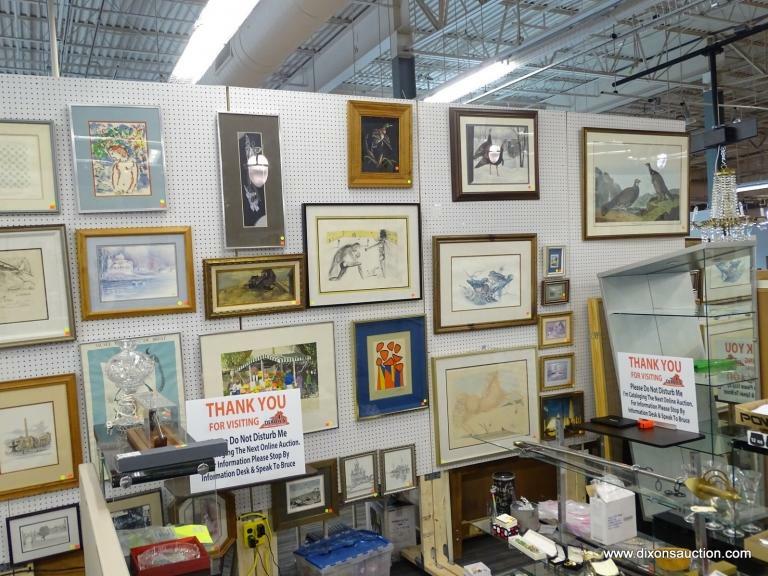 An Online Personal Property & Estate Auction Closing 4/22/2019. 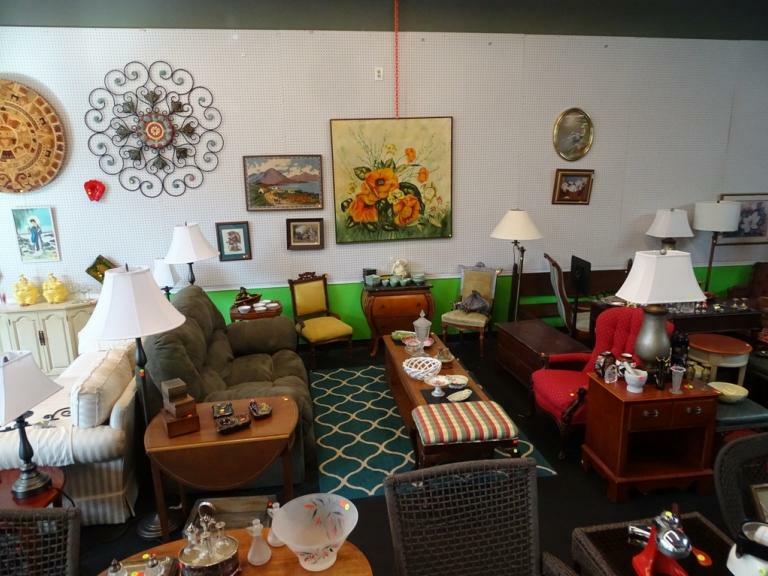 All items are to be PREVIEWED & PICKED UP at 53 Anderson Highway, Powhatan VA. 23139. You can preview these items on Saturday 4/20/2019 between 11AM & 3PM. 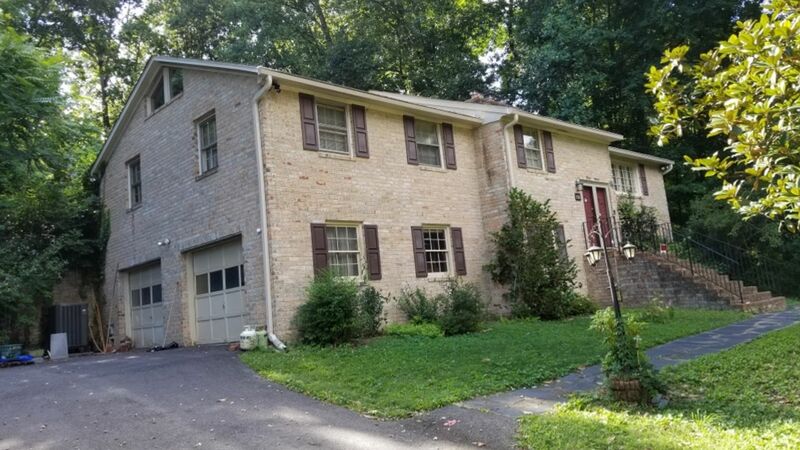 This auction will begin to close down on Monday 4/22/2019 at 7PM Eastern, Closing 3 lots per minute. All items must be picked up on Saturday 4/26/2019 between 10AM & 3PM. This is the only time for pickup. Any items not picked up are considered abandoned. Delivery is avilable, please call 804-598-5099 for more information. 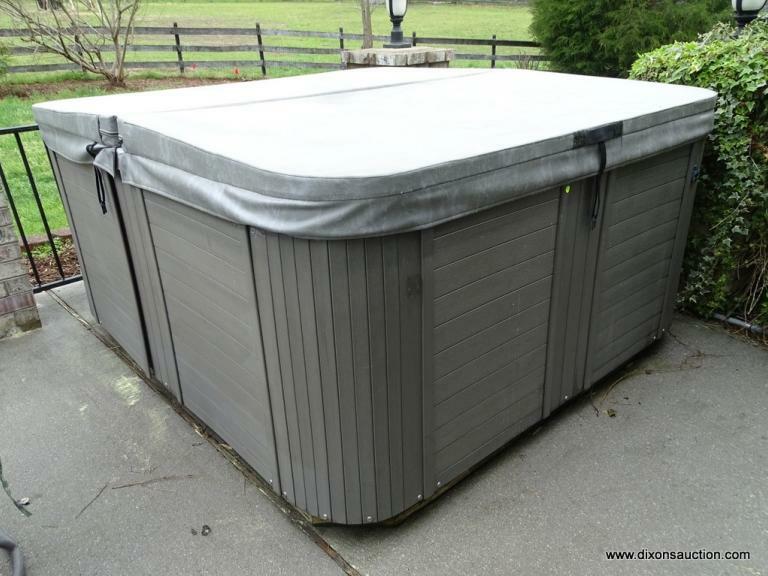 4/25/2019 Online Personal Property & Estate Auction, Bay #1. 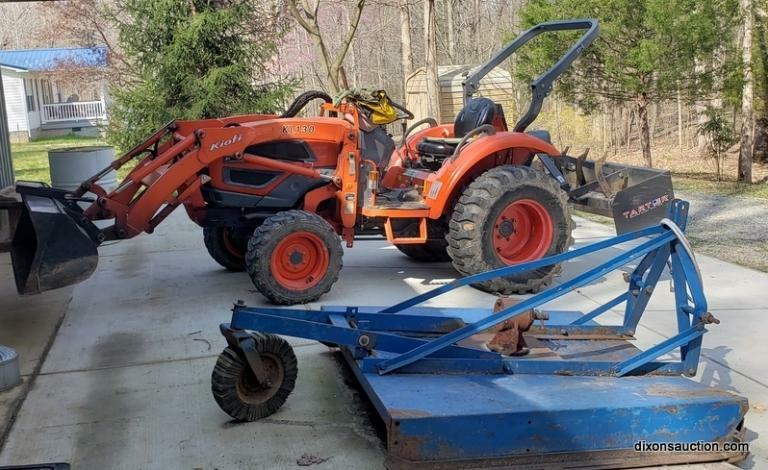 An Online Personal Property & Estate Auction, Bay #1 Closing 4/25/2019. 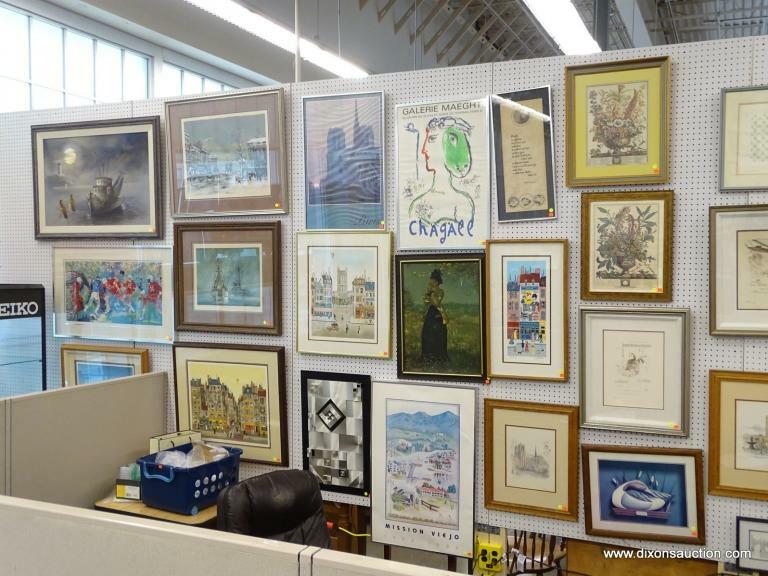 All items are to be PREVIEWED & PICKED UP at 10101 Brook Road, Suite 680, Glen Allen VA. 23059. 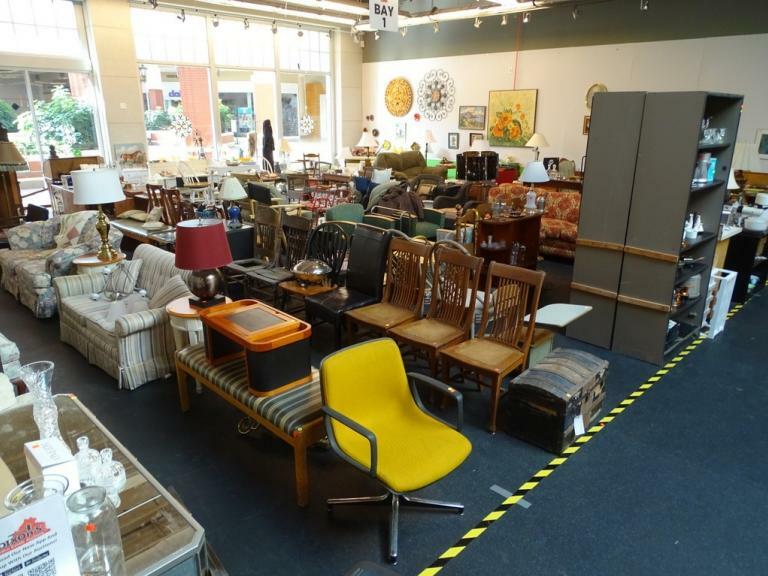 You can preview these items Monday-Saturday 10AM to 5PM. 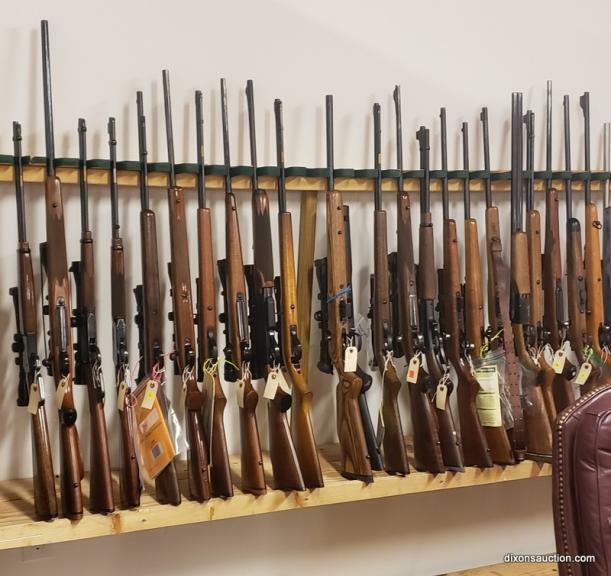 This auction will begin to close on Thursdays 4/25/2019 at 7PM Eastern, Closing 4 lots per minute. You must pickup your purchased items on Friday 4/26/2019 between 10AM & 5PM or Saturday between 10AM & 5PM. These are the only two days for pickup. Any items not picked up are considered abandaned. Delivery is available, please call 804-598-5099 for quotes. An Online Artwork Auction Closing 4/26/2019. This auction will begin to close on Friday 4/26/2019 @ 7PM Eastern. Preview Monday- Friday 3:00pm-6:00pm Or By Appt. RUGER VAQUERO SINGLE ACTION .45 COLT REVOLVER, S/N 55-81409. K38 SMITH & WESSON COMBAT MASTER PIECE .38 SPECIAL REVOLVER, MANUFACTURED IN 1951, IN PRISTINE CONDITION, THOROUGHLY BROKEN DOWN AND REBUILT BY PROFESSIONAL GUN SMITH. S/N 120607. HERITAGE ARMS ROUGH RIDER .22 CALIBER OR 22WMR REVOLVER. MANUFACTURED 2016. S/N W57249. HERITAGE ARMS ROUGH RIDER .22 CALIBER OR 22WMR REVOLVER, TARGET EDITION. MANUFACTURED 1999. S/N H753905. STACK-ON PISTOL CABINET WITH THREE SHELVES. BERETTA JETFIRE 950B 25ACP CALIBER, MODEL 950. MANUFACTURED 1967. S/N G06673. BERETTA JETFIRE 950B 25ACP CALIBER, MODEL 950. MANUFACTURED 1964. S/N B46712. BERETTA MODEL 950BS .22 CALIBER SHORT. S/N BER83496T. MANUFACTURED 1985. COLT MODEL 1903 .32 CALIBER PISTOL, MANUFACTURED 1941. S/N 555013. EIG TITAN .25 CALIBER PISTOL, S/N A25703. PAF JR. .25 CALIBER PISTOL, MADE IN SOUTH AFRICA, MANUFACTURED 1954-1957. S/N A4360. COLT .380 MUSTANG POCKETLITE, S/N PL121236. MANUFACTURED 2016. TANFOGLIO MODEL JT26 .25 AUTOMATIC, ITALIAN MADE, S/N S06692. SMITH & WESSON MODEL 1.5 SAFETY HAMMERLESS, MANUFACTURED 1906. FIRES .32 SHORT. NICKNAMED LEMON SQUEEZER. IVER JOHNSON .32 BLACK POWDER REVOLVER. MANUFACTURED 1894-1895. BLUED TOP BREAK. S/N 11143. IVER JOHNSON .32 BLACK POWDER REVOLVER. MANUFACTURED 1894-1895. NICKEL TOP BREAK. S/N 14933. MAUSER .380 SEMI AUTOMATIC MODEL HSC. IN BOX INCLUDES MAGAZINE & PAPERWORK. S/N 01.30702. STAR MODEL BM 9MM IN ORIGINAL BOX, INCLUDES CLEANING ROD & EXTRA MAGAZINE. SPANISH MADE. S/N 1397965. CANIK TP9SA 9MM PISTOL. S/N T6472-15. GLOCK MODEL 22 .40 CALIBER PISTOL. S/N BEP334. SIG SAUER MOSQUITO .22 LONG RIFLE, OD GREEN COLOR. MANUFACTURED 2012. S/N F227457. BROWNING MODEL BDA .380 CALIBER. MANUFACTURED BY BERETTA. MADE IN 1980. S/N 425PM01402. RUGER MODEL SR22 .22 LONG RIFLE PISTOL. S/N 36449053. EAA WINDICATOR .357 REVOLVER. MANUFACTURED 2009. S/N 1094716. GLOCK MODEL 23 .40 CALIBER PISTOL. UPGRADED TRIGGER. S/N BUY611. SIG SAUER MOSQUITO .22 LONG RIFLE. MANUFACTURED 2005. S/N A015540. SMITH & WESSON .38 SPECIAL MODEL 637 AIRWEIGHT REVOLVER. MANUFACTURED 2017. S/N DJS9049. BERNARDELLI MODEL 80 .22 CALIBER LONG RIFLE, ITALIAN MADE. MANUFACTURED 1977. S/N 04323. BROWNING PRO 9 9MM PISTOL. MANUFACTURED 2005. S/N 51BMV02111. CZ75B 40 CALIBER PISTOL, MADE IN CZECH REPUBLIC. GREAT GUN. MADE IN 2001. S/N A5212X. SMITH & WESSON SD9 9MM PISTOL. MADE IN 2016. S/N FZA7463. FEG MODEL PJK-9HP 9MM HUNGARIAN MADE PISTOL. MADE IN 1990-1994. S/N B22704. GLOCK MODEL 19 9MM PISTOL. MADE IN 2009. S/N NLP623. GLOCK MODEL 17 9MM PISTOL. MADE IN 1994. S/N AZG067. SMITH & WESSON M&P9 9MM PISTOL. MADE IN 2016. S/N HPK4313. CZ75D COMPACT 9MM PISTOL, MADE IN CZECH REPUBLIC. S/N C337665. SMITH & WESSON M&P .40 CALIBER PISTOL. MADE IN 2013. S/N HSF6211. RUGER P94 .40 CALIBER PISTOL. MADE IN 2000. S/N 341-02587. WALTHER ARMS MODEL PPQ 9MM PISTOL. S/N FCH0561. MADE IN 2017. RUGER P95DC 9MM PISTOL. MADE IN 1997. S/N 311-68464. 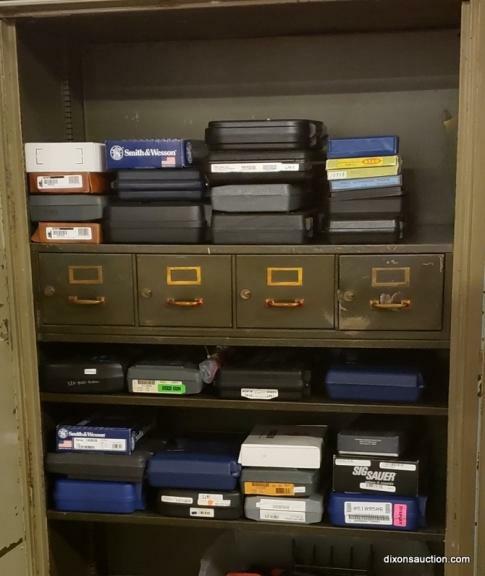 STACK-ON PISTOL CABINET WITH TWO SHELVES. BERETTA MODEL 92SB COMPACT 9MM PISTOL WITH WOODEN GRIPS. MADE IN 1984-1985. S/N C19768Z. BERETTA MODEL 92S ITALIAN POLICE SURPLUS 9MM PISTOL. MADE IN 1978-1981. S/N U09144Z. BERETTA MODEL 96D .40 CALIBER PISTOL. MADE IN 1993. S/N BER006636M. BERETTA MINI COUGAR MODEL 8000F 9MM PISTOL. MADE IN 1997. S/N 047338MC. MOSSBERG MODEL 320BB .22 SHORT LONG OR LONG RIFLE. SINGLE SHOT. POSSIBLY USED AS A BOY SCOUT TRAINER. HAS ORIGINAL COMPLETE MOSSBERG PEEP SIGHT. MADE IN 1964-1968. S/N 23974B. MARLIN MODEL 883 .22WMR RIFLE WITH SIMMONS SCOPE 3-9X32. JM STAMPED. MADE IN 1994. S/N 06460245. J.C. HIGGINS MODEL 51 MADE FOR SEARS ROEBUCK 30-06 RIFLE, MADE BY FN IN BELGIAN FOR SEARS, TRUE MAUSER BOLT ACTION. COMES WITH EL PASO WEAVER K4 SCOPE WITH WEAVER RINGS. CLEAN & SERVICED BY PROFESSIONAL GUN SMITH. MADE IN 1965? S/N 21943. J.C. HIGGINS MODEL 103.181 (MODEL 41) .22 CALIBER SHORT LONG OR LONG RIFLE, SINGLE SHOT. INCLUDES BUSHNELL SPORT VIEW 4 X 1.5MM SCOPE. MADE IN 1941-1962. NO S/N. STACK-ON 8 GUN RIFLE & PISTOL CABINET. RUGER P90 .45 CALIBER ACP PISTOL. MADE IN 1996. S/N 661-37701. COLT 45 COMMANDER WILEY CLAPP EDITION PISTOL. NOVAK SIGHTS, WILEY CLAPP DESIGN. MADE IN 2011. S/N 1570WCA. RUGER .45 SR1911 PISTOL. MADE IN 2016. S/N 372-7856. SIG SAUER P229 9MM PISTOL. S/N AD16290. SIG SAUER SP2022 9MM PISTOL. MADE IN 2012. S/N 24B134947. FN MODEL FNP-9 HERSTAL 9MM PISTOL. MADE IN 2006. S/N 61BMT06587. REMINGTON MODEL 550-1 .22 CALIBER SHORT LONG OR LONG RIFLE. NO S/N. MOSSBERG MODEL S46M MADE FOR SPIEGEL CATALOG .22 SHORT LONG OR LONG RIFLE. CORRECT PEEP SIGHTS, FRONT, MIDDLE & REAR. DOES HAVE A MOUNT FOR SCOPE. TUBE FEED. MADE IN 1941. MARLIN JM STAMPED MODEL 882L .22 CALIBER WMR RIFLE WITH LAMINATE STOCK. INCLUDES SIMMONS 4 X 32 WITH WEAVER RINGS. MADE IN 1992. S/N 08585192. CZ 455 .22 WMR RIFLE, BOLL BARREL WITH CABELAS 3-9 X 40 SCOPE. MADE IN CZECH REPUBLIC. S/N B536436. MARLIN 917VRX-17 .17 CALIBER HMR RIFLE WITH BOYD LAMINATE STOCK. INCLUDES NIKON BUCKMASTER SCOPE. S/N MM15934E. RUGER M77 308 BOLT ACTION RIFLE WITH BSA CONTENDER SCOPE. MADE IN 1989. S/N 771-94735. SENTINEL 8 GUN RIFLE & PISTOL CASE. H&R MODEL 922 .22LR CALIBER DOUBLE ACTION 9 SHOT REVOLVER. MADE IN 1951. S/N L11894. HERITAGE ARMS .22LR CALIBER 4-1/2" BARREL SINGLE ACTION REVOLVER, EXTRA CYLINDER FOR .22MAG. MADE IN 2016. S/N P90355. RUGER SINGLE SIX .22LR OR .22 MAG (2 CYLINDERS) REVOLVER. MADE IN 1966. S/N 440065. COLT NEW FRONTIER .22LR OR .22 MAG SINGLE ACTION REVOLVER (2 CYLINDERS). MADE IN 1972. S/N G41842. BROWNING BUCK MARK PRO PLUS SE .22 LR SEMI AUTOMATIC PISTOL. MADE IN 2003. S/N 515MX23832. ROCK ISLAND ARMORY MODEL 200 .38 SPECIAL MADE IN PHILIPPINES. S/N RIA1828774. H&R MODEL 939 ULTRA SIDE KICK DOUBLE ACTION .22LR 9 SHOT REVOLVER. MADE IN 1958. S/N U19740. COLT POLICE POSITIVE .32 REVOLVER, NICKEL PLATED, VERY NICE CONDITION. MADE IN 1929? S/N 309483. SMITH & WESSON MODEL 629-6 CLASSIC .44 MAGNUM REVOLVER. MADE IN 2004. S/N CJX6352. NEF MODEL R22 ULTRA .22LR CALIBER DOUBLE ACTION 9 SHOT REVOLVER. 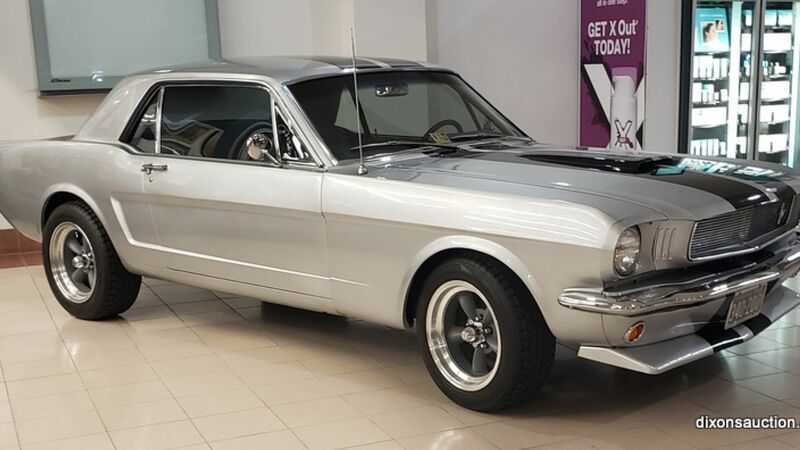 S/N NM001965. SMITH & WESSON VICTORY SW22 .22LR CALIBER PISTOL, THREADED BARREL. S/N UEA1837. SMITH & WESSON MODEL 686-6 .357 MAGNUM 7 SHOT REVOLVER. MADE IN 2013. S/N CVA1681. RUGER SP101 .22LR CALIBER 8 SHOT REVOLVER. MADE IN 2016. S/N 577-35650. SMITH & WESSON MODEL 67-5 .38 SPECIAL REVOLVER. MADE IN 2014. S/N CWU2404. HERITAGE ARMS .45 COLT SINGLE ACTION ROUGH RIDER REVOLVER. S/N L29991. RUGER BEARCAT SINGLE ACTION .22LR REVOLVER. MADE IN 1959. S/N G769. REMINGTON MODEL 700 30-06 RIFLE WITH BUSHNELL SPORTS VIEW SCOPE, WEAVER RINGS. S/N A6425797. H&R TOPPER 58 SINGLE SHOT SHOTGUN, EITHER A 20 GAUGE OR 30-30, BOTH BARRELS INCLUDED. MADE IN 1981. S/N AX487483. SAVAGE MODEL 93R17 .17 CALIBER HMR RIFLE WITH LAMINATE STOCK. INCLUDES SIMMONS SCOPE 4 X 32. S/N 1937364. WINCHESTER MODEL 77 .22LR CALIBER SEMI AUTOMATIC RIFLE, WALNUT STOCK. MADE IN 1958-1962. INCLUDES BUSHNELL SCOPE. NO S/N. WINCHESTER MODEL 70 SPORTER VARMINT .223 CALIBER RIFLE. INCLUDES SIMMONS SCOPE WITH LEUPOD RINGS. MADE IN 1988. S/N G1958805. BROWNING MODEL BL-22 .22 SHORT LONG OR LONG RIFLE. INCLUDES TASCO GOLDEN ANTLER SCOPE 4 X 32. S/N 03465PV126. WINCHESTER MODEL 9422M XTR .22WMR CALIBER RIFLE. MADE IN 1980. S/N F444227. HENRY REPEATING ARMS .22 MAG CALIBER LEVER ACTION RIFLE. INCLUDES SIMMONS 3-9 X 32 SCOPE. MADE IN 1999. S/N M03147. HENRY GOLDEN BOY .22WMR CALIBER LEVER ACTION RIFLE WITH OCTAGON BARREL. VERY GOOD CONDITION. S/N GB021017M. BOX INCLUDED. GLENFIELD MODEL 30A MADE BY MARLIN (JM STAMPED BARREL) 30-30 LEVER ACTION RIFLE. HAS WEAVER MARKSMAN SCOPE (EL PASO MADE) & WEAVER RINGS. MADE IN 1979. S/N 21158287. MARLIN MODEL 336 .35 CALIBER LEVER ACTION RIFLE (JM STAMPED). MADE IN 1977. INCLUDES BUSHNELL BUCKHORN SCOPE. S/N 23083058. MARLIN MODEL 336C 30-30 WINCHESTER CALIBER LEVER ACTION RIFLE. HAS NIKON SCOPE. S/N MR23994G. J. STEVENS MODEL 56C (BUCKHORN) .22 SHORT LONG OR LONG RIFLE. DATED BETWEEN 1935-1948. ROSSI "THE SQUIRE" 20 GAUGE DOUBLE BARREL SHOTGUN, MADE IN BRAZIL. S/N R81759. GLENFIELD MODEL 60 MADE BY MARLIN(JM STAMP) .22LR CALIBER RIFLE. HAS GLENFIELD 4 X 15 SCOPE. MADE IN 1979. S/N 21493883. WINCHESTER MODEL 50 20 GAUGE SEMI AUTOMATIC SHOTGUN (MODIFIED CHOKE). MADE IN 1957. S/N 74246. MARLIN MODEL 60 .22LR CALIBER RIFLE, 18 ROUND LAST SHOT HOLD OPEN. HAS GLENFIELD 4 X 15 SCOPE. MADE IN 1985. S/N 15313381. J.C. HIGGINS MODEL 42 .22 CALIBER SHORT LONG OR LONG RIFLE, MADE FOR SEARS. HAS TASCO 4 X 15 SCOPE. MADE IN 1959-1960. NO S/N. RUGER M77 7MM CALIBER RIFLE. VORTEX DIAMOND BACK SCOPE 3-9 X 40. MADE IN 1990. S/N 773-04189. PRE 64 WINCHESTER MODEL 70 FEATHERWEIGHT .270 CALIBER RIFLE. HAS LEUPOLD SCOPE. S/N 435554. GONE OVER BY PROFESSIONAL GUN SMITH. MOSSBERG 12 GAUGE MODEL 395KB SHOTGUN WITH A C-LECT-CHOKE. S/N 549787. MADE IN 1974-1978. WINCHESTER MODEL 70 LIGHTWEIGHT SA .223 CALIBER RIFLE. TASCO VARIABLE SCOPE. MADE IN 1988. S/N G1912239. REMINGTON MODEL 7400 .243 CALIBER SEMI AUTOMATIC RIFLE. SIMMONS 3-9 BY 32 SCOPE. MADE IN 2005. S/N C8065081. MARLIN MODEL 25MN .22WMR CALIBER RIFLE (JM STAMPED). HAS SPRINGFIELD SCOPE WITH WEAVER RINGS. MADE IN 1990. S/N 10653850. RUGER 1022 .22LR SEMI AUTOMATIC RIFLE. HAS BUSHNELL CUSTOM 22 SCOPE. MADE IN 1979. S/N 118-87153. MARLIN MODEL 60 .22LR CALIBER RIFLE, 18 SHOTS LAST SHOT HOLDS OPEN. WEAVER MARKSMAN SCOPE (EL PASO MADE). MADE IN 1989. S/N 11188567. REMINGTON MODEL 141 .35 CALIBER PUMP ACTION RIFLE. WEAVER KT5 SCOPE, PACHMIRE FLIP MOUNT. S/N 69718. 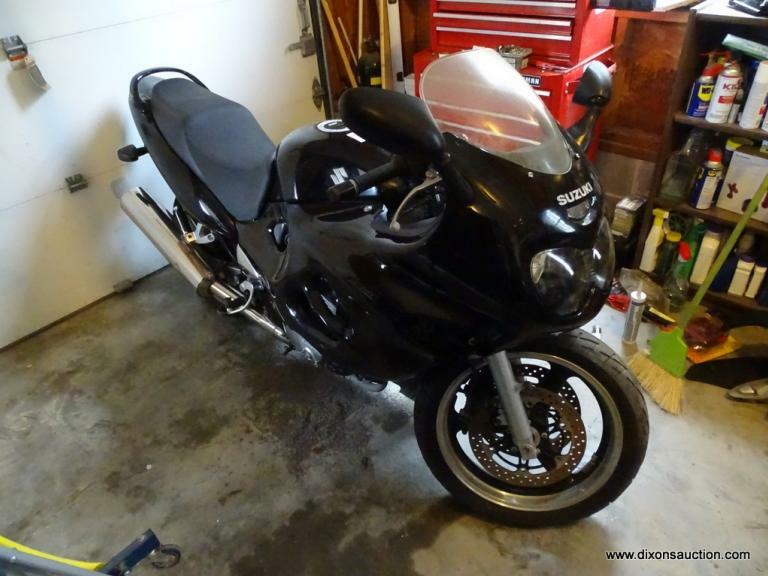 An Online Personal Property & Estate Auction,Closing 5/20/2019. 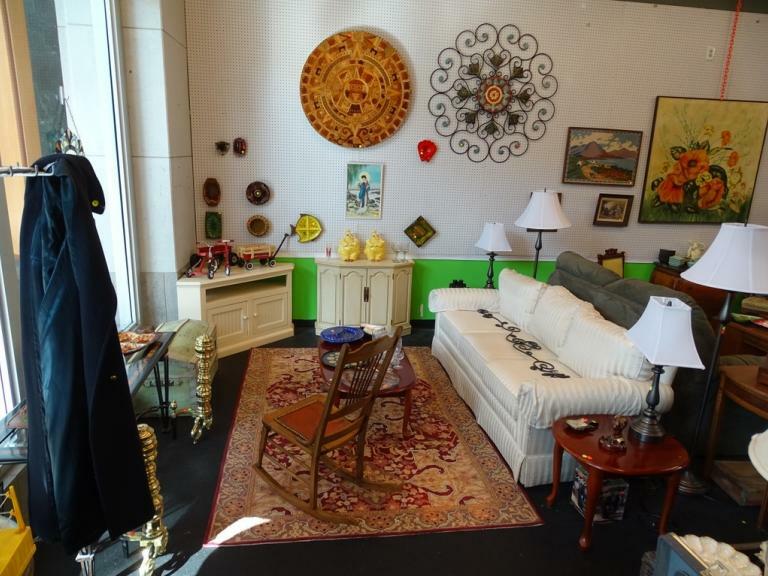 All items are to be PREVIEWED & PICKED UP at 3598 Timberview Rd. Powhatan, VA 23139. You can preview these items Saturday 5/18/19 11AM & 3PM. 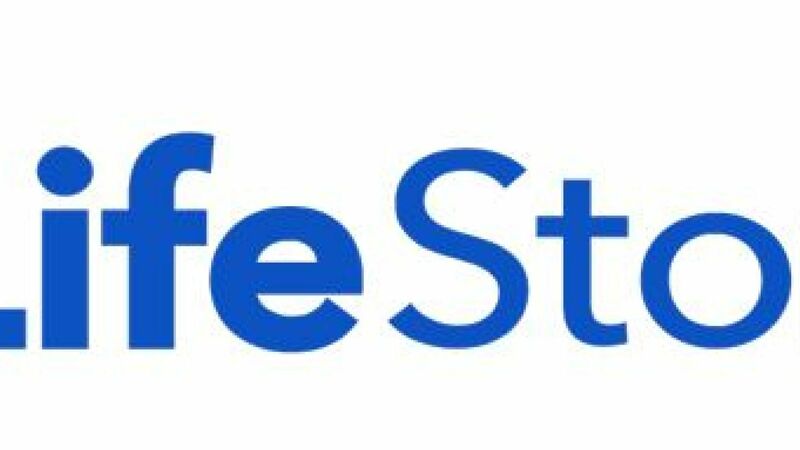 This auction will begin to close on Monday 5/20/2019 @ 7PM Eastern. 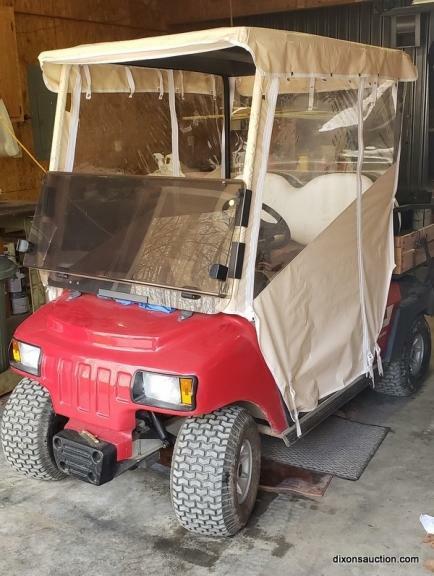 An Online Personal Property & Estate Auction,Closing 5/28/2019. This auction will begin to close on Tuesday 5/28/2019 @ 7PM Eastern.